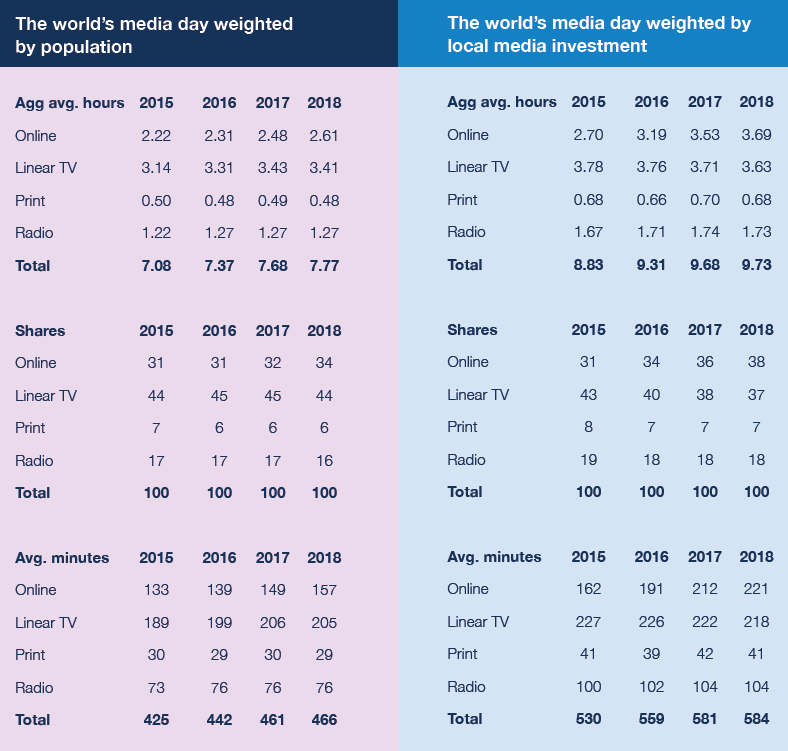 This year will be the first in history online media consumption will overtake time spent with linear TV globally. The findings come out of GroupM’s hot off the press ‘State of Digital’ Report, released yesterday. According to the report, online media will have a 38 per cent share, while TV will have a 37 per cent share. 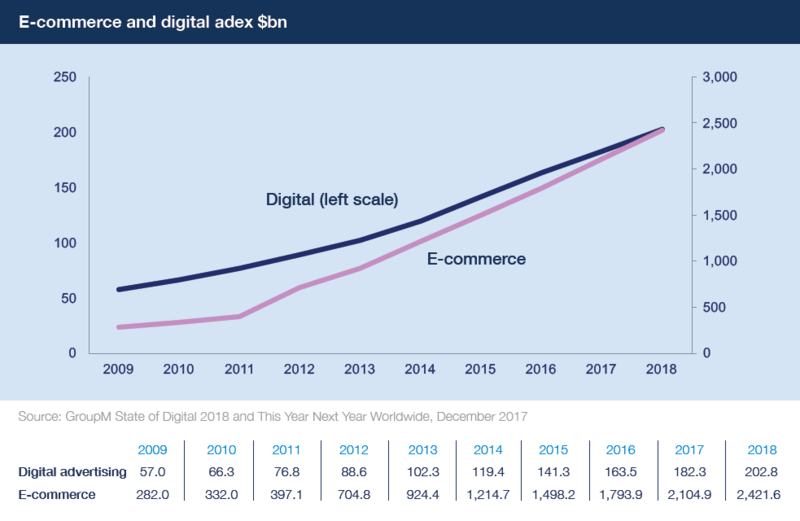 The emergence of online as the most consumed media globally has also influenced ad spending worldwide, with more brands than ever investing in digital. Thirty-five countries supplied data to GroupM for the report, whose e-commerce transactions had amounted to $2.105 trillion in 2017, an increase of 17 per cent compared to the previous year. Needless to say, the impact of increased online media consumption is being felt worldwide. Looking at the results, GroupM has predicted a 15 per cent growth in 23018 to $2.442 trillion. The move into online has also seen a rise in programmatic ad buying, with 44 per cent of online display investments transacted programmatically in 2017, compared to 2016’s 31 per cent. The report seeks to break down every area of online ad spending and reveal its worth to the industry. Speaking on the findings, GroupM global CEO Kelly Clark called, “automation and talent are the big themes in advertising’s current revolution”. One of the more controversial topics touched on in the report, GroupM shone a light on the digital duopoly. Speaking on the issues, the report said, “concerns over the quality of programmatic inventory in the Google Display Network persist, but remedies are being pursued”. Looking at blockchain technology, GroupM futures director Adam Smith said, “blockchain’s main attraction is its distributed ledger which tells everyone everything and thus presents the opportunity to reduce inefficiency or cheating”. However the largest issue is due to the huge amount of tech needed to keep it running, it’s “too slow for a real real-time”. In terms of artificial intelligence (AI), GroupM touts the tech as being crucial to brands understanding placement and engagement, and in future, helping fight fraud in adland. Touching on data, the GroupM said there is “ample room for improvement”, as “clients are often risk-averse to harvesting, storing and distributing data”. In terms of metrics and viewability, GroupM made an effort to point out that effective advertising must “be in view and/or hearing” and touted the importance in “setting industry and commercial viewability practices”.